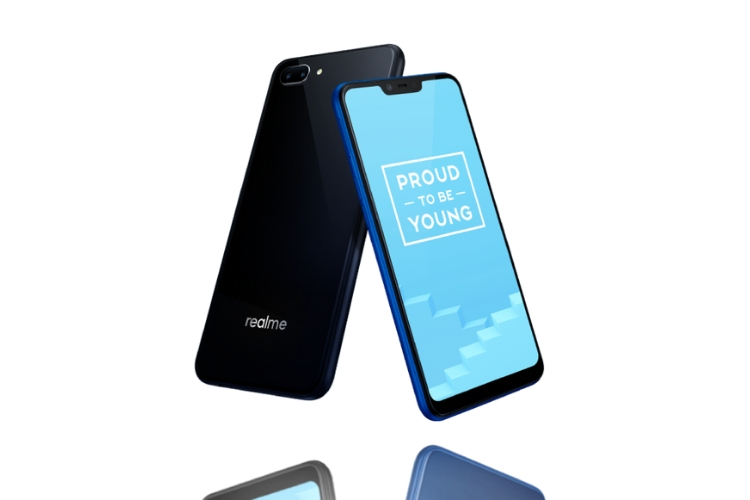 Alongside the Realme 2 Pro, the company had also surprised us with the unveiling of its beefed-up entry-level smartphone- the Realme C1. It’s a Snapdragon 450 SoC-powered device that’s scheduled to go on sale for the very first time at 12 PM on Flipkart today. The Realme C1 is the only smartphone in the sub-Rs. 7,000 price bracket to offer you a good notched display, the Snapdragon 450 SoC, dual cameras, and a premium glass-like build. You get all of this at just Rs 6,999. Coming to the specs, the Realme C1 features a large 6.2-inch HD+ notched IPS display with a 19:9 aspect ratio, giving the device a chance to boast of an 88.8% screen-to-body ratio. It is powered by the Qualcomm Snapdragon 450 chipset, coupled with an Adreno 506 GPU, 2GB RAM and 16GB of internal storage. On the optics front, the device sports a dual rear-camera setup with a 13-MP primary sensor and a secondary 2-MP depth sensor. Up front, you get a 5-MP selfie shooter with AI features in tow. But you do miss out on a fingerprint sensor and only have Face Unlock along with the regular Android unlock methods. The Realme C1 runs Android 8.1 Oreo-based ColorOS 5.1, packs a massive 4,230mAh battery, and includes a 3.5mm headphone jack and microUSB port. So, would you be interested in picking up this budget phone during the Big Billion Day sale? Let us know down in the comments.